Vicki works as an aromatherapist, healing her clients out of her home studio with her special blends of essential oils. 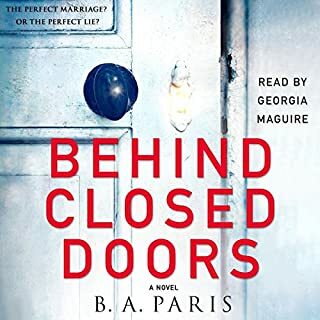 She's just finishing a session when the police arrive on her doorstep - her ex-husband, David, has gone missing. Vicki insists she last saw him years ago when they divorced, but the police clearly don't believe her. And her memory's hardly reliable - what if she did have something to do with it? Three little girls set off to school one sunny May morning. Within an hour, one of them is dead. Fifteen years later, Kitty lives in an institution. She can't speak and has no memory of the accident that put her there, or her life before it. Nearby, Alison, a local artisan, struggles to make ends meet and to forget her past. When a job opens up in a prison as an art teacher, she takes it. Soon, though, she starts to receive alarming notes - followed by a frightening prisoner-on-prisoner assault while her back is turned. 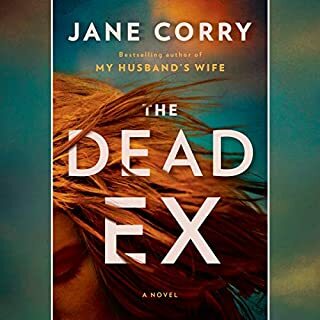 Look out for Jane Corry’s new book, The Dead Ex, available soon. When young lawyer Lily marries Ed, she’s determined to make a fresh start and leave the secrets of the past behind. 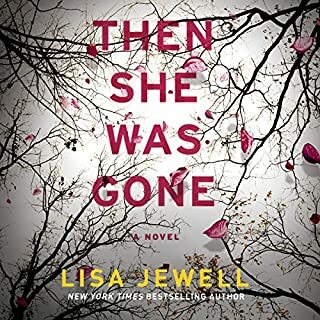 But then she takes on her first murder case and meets Joe, a convicted murderer to whom Lily is strangely drawn - and for whom she will soon be willing to risk almost anything. But Lily is not the only one with secrets. Her next-door neighbor Carla may be only nine, but she has already learned that secrets are powerful things. That they can get her whatever she wants. When Lily finds Carla on her doorstep 12 years later, a chain of events is set in motion that can end only one way. I struggled to finish this one. I had high hopes because of the excellent reviews, however I felt it lacked a lot of development between the characters and dragged through the middle. wouldn't waste time on this one. I prefer stories where there is at least one likable character. Only a couple of very minor characters in this book could be considered ones you'd like to root for. 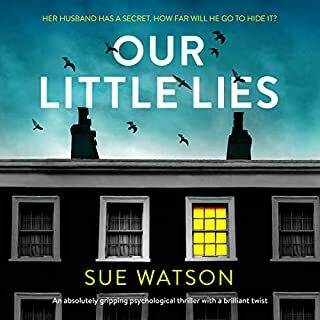 A few reviews compared this book to "Big Little Lies" and called it a psychological thriller. Not true. I couldn't wait for the story to end and didn't care how it ended. I think it's lazy when an author uses one character to 'explain' what happens at the end instead of allowing the reader to discover twists and surprises. Just can't recommend this one. Don't let the title fool you; this book is about more than a husband and a wife. There is a lot going on in this story and it requires attention to follow the different characters and plot lines. When the reader soon begins to untangle the yarns, however, the story will captivate. Ultimately, I found that no detail of the story was placed without a reason, and there are a lot of details. The full experience of this story is worth the attention! This is a great book, and I say "unexpected" because the description barely scratches the surface. This sweeping tale chronicles the lives of Lily, her husband Ed, and Carla, who grows from the precocious child next door to a beautiful, calculating and complicated young woman during the course of the story, which takes place over a period of more than fifteen years. There are other important people, of course, including a man whom Lily defends in court, who speaks in riddles, and to whom Lily is inexplicably drawn; The man in the shiny car who helps to shape Carla's perception of relationships; the brother who will never truly die. The first several chapters of this book made me unsure if I would like it, but soon I was totally absorbed in the characters' lives. 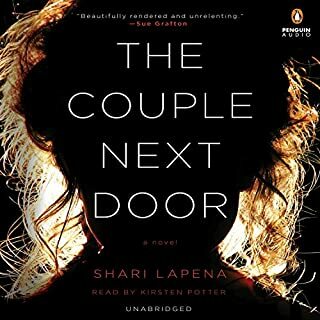 The author doesn't skimp on paradoxes within people and their relationships, the internal struggle of good versus evil, and the fact that people and situations are rarely black and white. Ultimately, this rewarding book will absorb you, shock you, make you think about things in ways you maybe haven't before. The narration by Rosalyn Landon is nearly perfect for this book. Lose yourself in the narrative and decide what your own truth is by the time you reach the end- you'll be surprised. This is a worthy book and I really do recommend it. "Lies...They start small and then they multiple"
My Husband’s Wife alternates between the perspectives of Lily and Carla. Lily is a lawyer starting her first murder case, freshly home from her honeymoon in Italy with Ed. Carla and her beautiful, single mother live nearby. The stories overlap, and weave in and out of one another. Throughout, there are hints of something sinister about both Lily and Carla—you wonder what has happened in Lily’s past, and what may happen in Carla’s future. Expect themes of obsession, guilt, and jealousy. I was a little surprised, when I double checked, that there is only one narrator. Rosalyn Landor does a superb job, and changes her voice well for each character and situation. 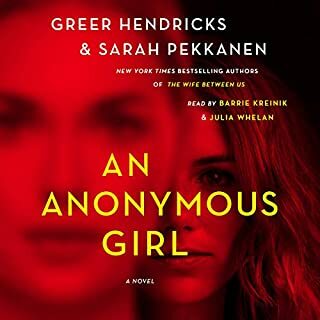 What I enjoyed about this book was that it manages to be a thriller without just centering on the murder case as you might expect. Instead, it is just another piece in the larger puzzle of their lives. Is this book as good as Gone Girl?—no. However, I do think it will turn out to be a popular book in its own right. Would you consider the audio edition of My Husband's Wife to be better than the print version? Yes, the voices really help to build all of the different characters and make a movie in my mind. Karla, as a little girl. This has been my favorite book of the last year. The layers are so good and keep me interested and wanting more and more! 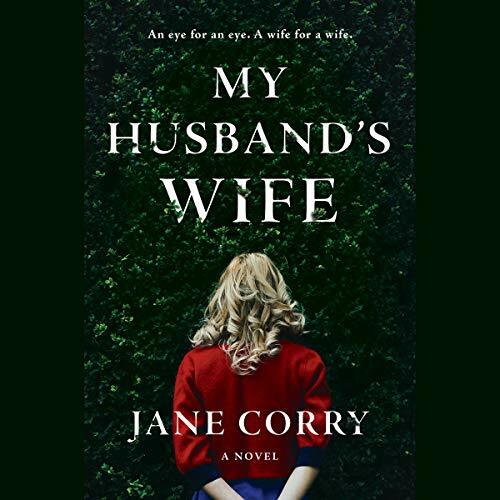 Would you try another book from Jane Corry and/or Rosalyn Landor? Rosalyn Landon was perfect and I would listen to another book narrated by her but I wouldn't read another book by the author! What was most disappointing about Jane Corry’s story? The women were so smart but made to be so dumb! How can a 22 year old that has made it through law school still not understand the concept of wrong and right ! She was 22 with a grudge from when she was 10! Ughh just horrible ! Do you think My Husband's Wife needs a follow-up book? Why or why not? Not really! I am an hour out from the ending and am having a hard time finishing it ! The story could have been so much better , it almost seemed like she got tired of writing half way through the book and threw in some cliches wrapped up in "suspense " and published it ! Nothing made sense at all even the inner thought of the little girl and the pencil case! She was 10 not 4! Just seemed as though there was no research done for these characters! The secret the protagonist was holding was so futile that the build up around it made you frustrated because it wasn't that bad of a secret to mull over! The little Italian girl was extremely smart but why would a 10 year old think that someone was going to murder them because they saw the word murder on a piece of paper? The mother kicked Larry out so why all the fuss about Lilly telling him to quit it ! They never really answered the question as to why she had the overaion to intimacy with jack ! Just to many unanswered questions! Why go to law school for all that time and try to be just like the women you blame for your mothers inevitable break up with a married man and subsequent lifestyle change? Nothing makes sense!! I simply hated this book. None of the characters are sympathetic and I found myself rooting against all of them. The reader was perfect - it was the material being red. Disappointed in this. Characters were complex but unlikable all the way around. The big reveal at the end was a complete let down after waiting so long. Maybe not so bad if I had read the book instead of listening and spending so much time. I have rarely felt so little empathy for every character in a book. Absolutely all of them were just completely unlikable, whiny and plain annoying. The ending feels a bit "all this for that" but doesn't really make any sense. I don't know if the point of the book is to tell you that karma will get you in the end but if it is it didn't need to be so long. Well written and easy to follow, this book offers the reader lots of twists and turns. When being nice person and a good person are expected but often at odds. Babies, marriage, lawyers, murders, and friends- all interwoven strifes and scandal. Reader was great.